What couldn’t be done, just has. 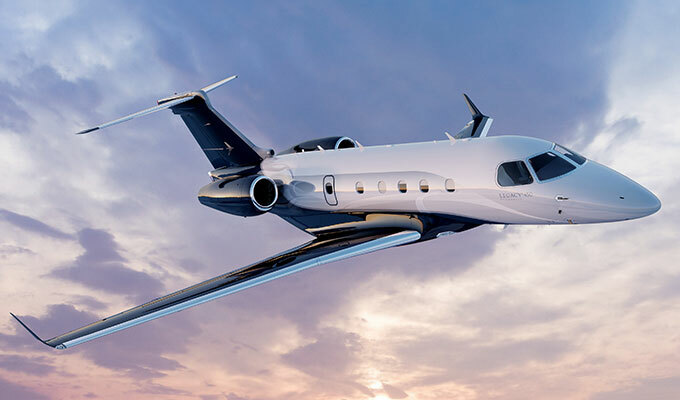 Convinced that good is never really good enough, Embraer started with a clean sheet of paper to design the Legacy 450, stablemate to the record shattering Legacy 500. 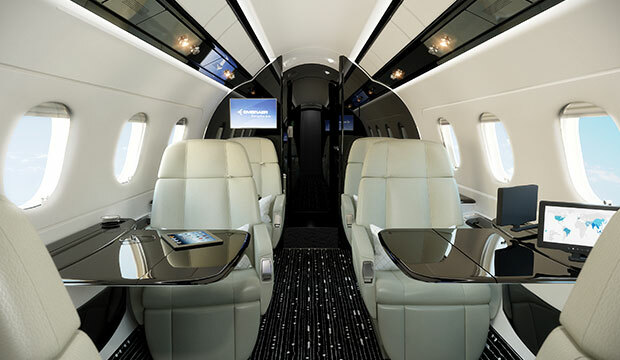 The result: a new cutting-edge corporate jet that transcends all others in the mid-light class. It is truly a remarkable union of technology and design offering digital flight controls with full fly-by-wire, the largest-in-class stand-up cabin, and class-leading stowage capacity and speed. It’s the kind of aircraft that emerges from not listening to conventional thinking – and instead, redefining what’s possible. Traveling at Mach 0.83, the Legacy 450 is the fastest mid-light corporate jet in the air. It can take off and land on short runways, giving you access to more airports worldwide. Incredibly, the aircraft can climb directly to 43,000 ft. (13,106 m.) in only 22 minutes, departing from the sea level with maximum takeoff weight. The Legacy 450’s flight altitude is 45,000 ft. (13,716 m.). At 6-feet (1.83 m.) tall and 24-feet (7.32 m.) long, with a flat floor, the Legacy 450’s cabin is the largest in its class. Two center club seats fully berth to create beds, so you can catch up with your sleep on flights. The other seats, available with optional heating and massage, swivel and offer lateral and forward movement. Seats a total of up to 9 passengers.